blogadda contests Heart has a reason! I present you a story, a story that resides deep inside my heart. This is a story of two friends - me and a dear friend. A verbal skirmish between both of us devastated our friendship. But it was the heart that heard my prayers and dealt cleverly and smartly to restore normalcy. 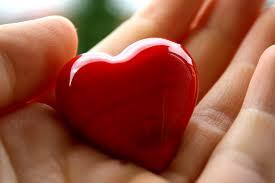 Heart is symbolic of feelings and emotions. But for me it helped in mending broken friendship. Broken friendship is like shards of glasses. Dilemma! The hurt would keep reminding about the broken friendship and all that is left is nothing but disappointment. It was the month of February in the year 2009. I was selected in Infosys through third year campus placements. She was not known to me until the first day at office. Ours was the computer science batch that contained students from all over India. I got introduced to many new people and even befriended few of them. The next three months we were destined to be together. We were trained on various programming languages and technology. By the end of three months, we all were almost inseparable. It is wisely said that you gel with a group and eventually you end up being a part of it. My case was similar. The day of project assignment neared and our fate was decided that day. That was the day when I was posted to work on a project at Chennai. My heart ached at the very thought that I would have to stay away from my family. I had million thoughts running inside my mind. Over thousand questions haunted me! I didn't have any alternative to swap the project with someone. I was heartbroken. I was the only person selected to work from the Chennai location! Dejected , I sat on the stairs! I saw the happy faces of people from my batch. Every one was excited sans me! I was disappointed. A silent tear streamed down my cheeks. There was a constant frown on my face. It was self explanatory! The thought of staying away from my family gave me constant goosebumps. I have never lived away from them. How would I even survive without my family? This attachment towards my family forced me to think too much! A person sat next to me , wrapped her arms around my shoulder and soothed me. She was none other than Soumya Rajan, someone who easily identified my pain even during her moment of joy! "I don't want you to cry, Stephen," she said. My eyes were moist with tears. I was almost shattered. She tried her best to console me. But my heart was lost in its own thoughts! "You listening to me?" she said again. I helplessly looked at her. "Time will fly and within months you would be back here," she added. I was feeling happy that at times of turbulence, I identified someone whom I could call my best friend. She was my best friend. She was someone who taught me to be happy during sorrow. I finally bid adieu to her and my batch the next day. She hugged me tightly! Days passed and I started to adore Chennai. It was refreshing and gave me many reasons to smile. I had a wonderful team and people there were too good. But language was the only barrier. People there speak either Tamil or English. But I managed with English and Konjam Konjam Tamil ( Little Little Tamil). As promised, one year later I was back to where I belonged. I was back with my family. I was assigned to work on a different team. I saw Soumya once again. She was so happy and excited to see me again. We shared a friendly bond and there was nothing more between us. Whenever I had time, she would listen to my Chennai ramblings. During one such session I even told her how much I missed her! Soon I got promoted to a senior role! Soumya worked on the same floor as mine and as a result we both would land up meeting each other quite often. Those days I had made several friends within my team too! Soumya was close with my team too! One day there was an argument between Soumya and one of my junior team mate. She was furious at him! I was not aware of the problems but I knew that the matter had intensified. Later on upon investigating I realized that it was Soumya's fault. It was not in my nature to favor the wrong! The matter escalated to such an extent that she complained about my team mate to my manager. My manager bashed me for my inability to control the matter.I tried to bring back things to normal and however hard I tried, the issue didn't get resolved.It was during one of those conversation that Soumya got a hint that I was supporting my team mate. But I was only being frank and honest! How could I prove her that I was right? She was not in a mood to listen to me. She was visibly disappointed. She got hulk angry quite often. And perhaps I had witnessed it for the first time. "Soumya...." I called her as we left out of my managers cabin. She didn't pay heed to my words. I quickly ran behind her and apologized. "Damn, your sorry!" She bursted upon me. "I don't need it." she added and continued, " I thought we were great friends but today you proved me wrong." "Enough is enough!" she said, tersely. "I don't need your friendship," she said and left for her cubicle. I looked at her incredulously. All my attempts to talk to her again failed. We never spoke again. Months passed and even years. I used to visit my friends cubicle that was next to Soumya's and get a glimpse of her! I actually wanted to bring things back to normal. I didn't want our friendship to break. Through one of my friend I got to know that Soumya had resigned from the company. By then she had made many foes than friends. Even her own team mates saw her like enemy. They didn't interacted much with her. Whenever I passed by her,I would believe she always wanted to talk to me. Her eyes suggested me so! It was her last day at office. She had once told me that her last day at office should be like a President leaving his office. She loved chocolate cakes! She loved photo frames and lots of gifts! But sadly nothing happened just as she wished. Everyone knew that we both were not in talking terms. Even her own team didn't come to bid her adieu. That would be a disgrace for any corporate employee on their last working day! I felt sorry for her. I wanted her last working day to be special. That was the time when my heart struck a deal with me. It tried hard to convince me that she was my best friend and I can't leave my best friend sad on her last working day. I contemplated for a while and decided to listen to my heart. I quickly made a plan with my two other friends who were also known to Soumya. We decided to give her a pleasant surprise. We left for Regal mall and started purchase amazing gifts for her. We printed a collage of hers that contained amazing collection of her photographs from our training days to project days. We brought a huge teddy, photo frames, flowers and a big greeting card. We ordered a chocolate cake too! Just as she was about to leave her floor forever, an office boy handed her a note - Come to Cafeteria in 5 minutes! It was we who had send that note. When she reached the cafeteria, we clapped and greeted her. I stood there in front of her and clapped. We handed her everything that we had got for her. She cut the cake and gave me one piece. She looked straight into my eyes. Tears rolled down her cheeks. It was tears of joy! She hugged me tight. I had no words to explain this feeling. "You know how much I missed you all these days," she said to me . She spoke to me after 2 years. It felt good listening to her after so many days. "I missed you more than you did." I said. For the first time , I had listened to my heart and that struck gold for me. What followed next was magic, the magic that I got my friend and my lost friendship back.Thanks to my heart that was aware of things and people close to me. Months later, she referred me in her new company . We both worked together for few months before she got married. She now settled in Washington DC with her husband. This was how I got my friend back once again by listening to my heart. So true.. sometimes when we just listen to out heart so many misunderstanding can be resolved. Wow such an inspiring story. Kudos!